Samsung Buying Offer GP Mega Internet 2019 (9GB Free & 2GB Tk99)! 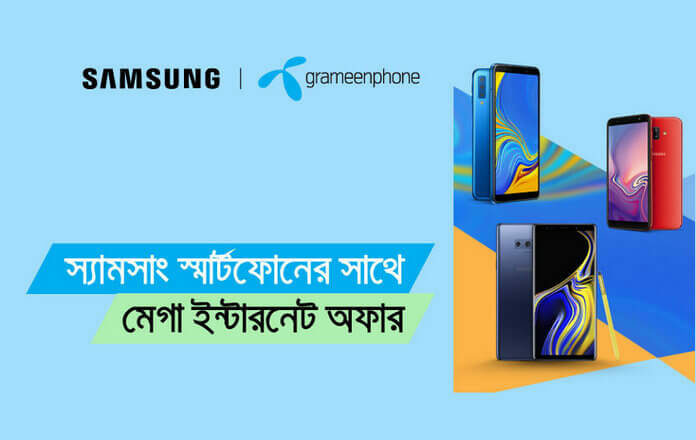 Grameenphone Mega Internet Offer with Samsung Phone, GP offers 9GB of free internet when buying certain Samsung smartphones. Also, GP 2GB Internet at Taka 99. GP 99Tk 2GB validity is 7 days, the internet packs can be used on any 3G and 4G network for any purpose. A customer may avail this offer 9 times in 3 months, this is a complete official offer if you buy Samsung Original Phones the get the bonus. Purchase Offer: 2 GB (including 7 days validity) at 99 Tk. Customers can buy this data offer 9 times in 3 months. Restart the device after inserting the GP SIM. To know how often the customer used the offer, type CHK MY2GB and send it to 25050. The offers are applicable to the mentioned model handset. Customers will be able to purchase this bundle offer 2 times a month. Only Skitto customer can’t accept this bundle. Dial *121*1*2# to know remaining balance. 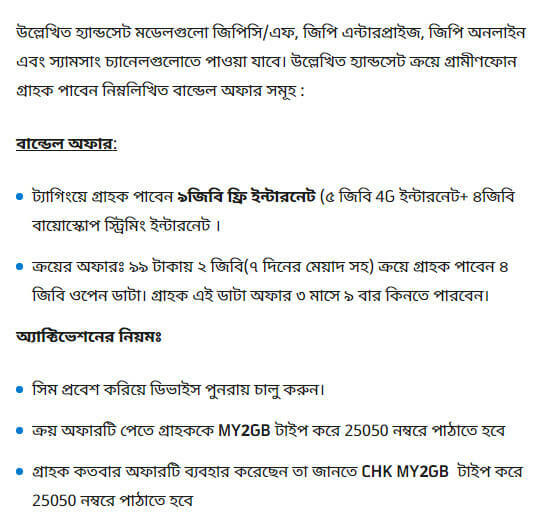 Click here to check if SIM 4G supporters are available.